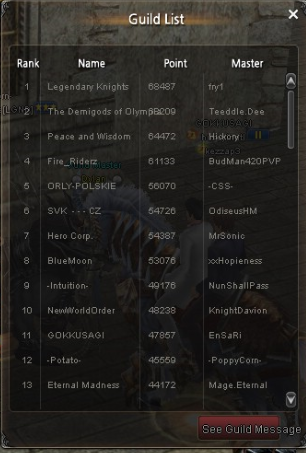 to compete with the pvpers in the Monster Madness events. 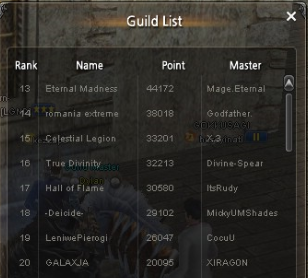 So my question now is do you and your guild love grb? Want to be rewarded for your love of it? until we see for sure how it will go. 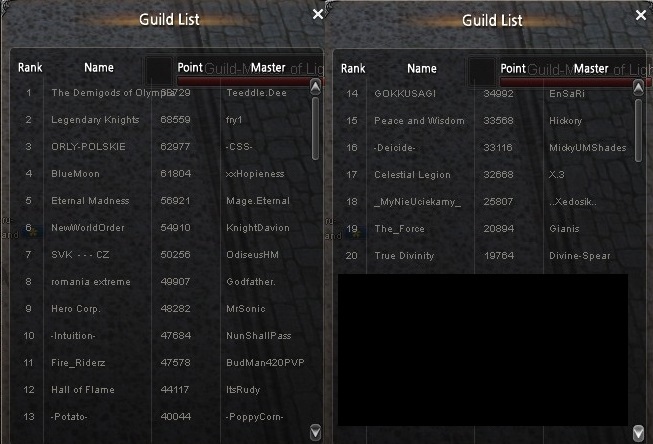 We will take a Screenshot of the top 20 guilds every week and post them here. We will start the contest next weeks grb February 9. The Mini MM time will be announced and posted so stay tuned here!! The post was edited 1 time, last by Wendolyn: cropped to place side by side ( Feb 3rd 2019 ). It is... Celestial Legion Congrats! At 10:30 PM CET we will have the first Mini GRB MM in stadium for Aol - followed up with Fury at 11 pm CET. The GRB mini Monster Madness will happen after GRB on 23th of February! Please contact a GM if the time is inconvenient. But what about 9.02. scores? I'm kinda confused. 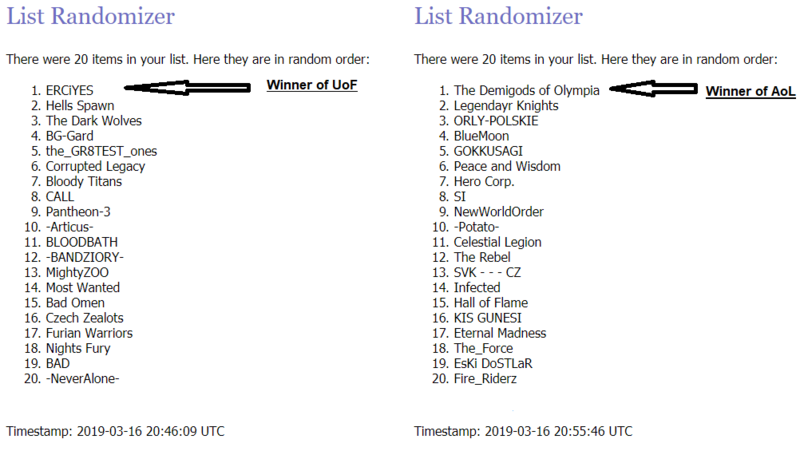 We had Celestial Legion (02.02) and Hero Corp (09.02) at 09.02, but due to having trouble reaching BG-Gard (02.02) + the_GR8TEST_ones (09/02) - we postponed till 16/2 for UoF. 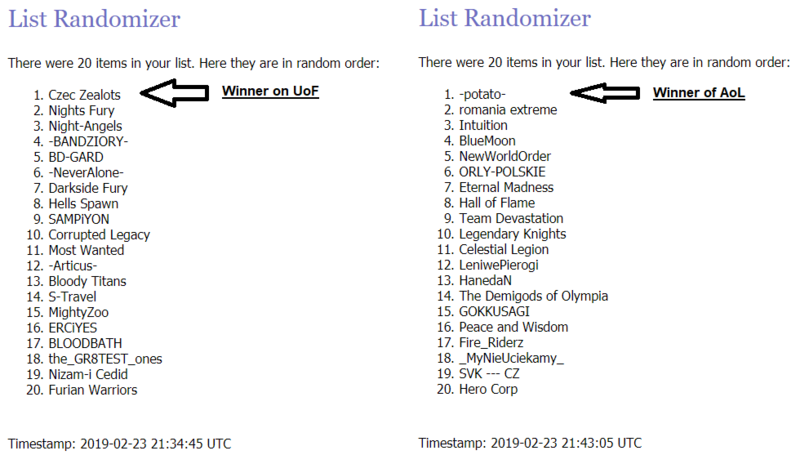 I see that the winners were not posted for 09.02 here, but I assure they were selected by randomizer. The Mini GRB Monster Madness is every other weekend. That means it will be 2 guilds per faction every other weekend. The post was edited 2 times, last by Tsuji ( Feb 23rd 2019 ). Congrats -Potato- and Czech Zealot!! 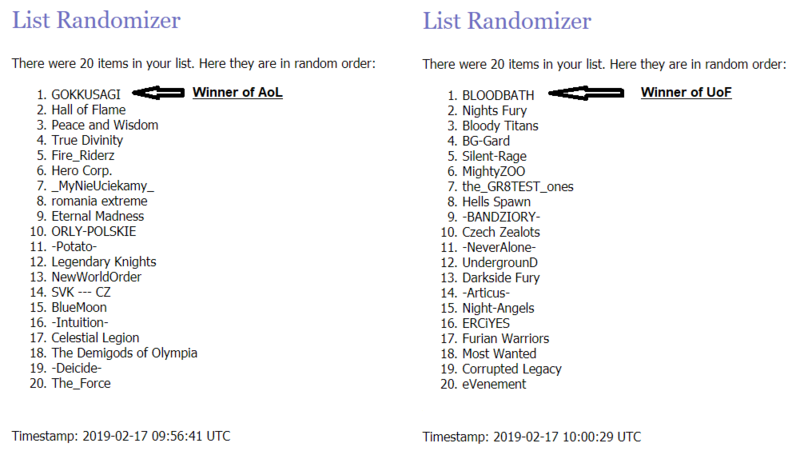 The winners was contacted right after GRB and the GRB mini Monster Madness will happen after GRB on 23th of February same as GOKKUSAGI and BLOODBATH! However, due to not being able to reach -Potato-, they will be postponed till we can reach them! 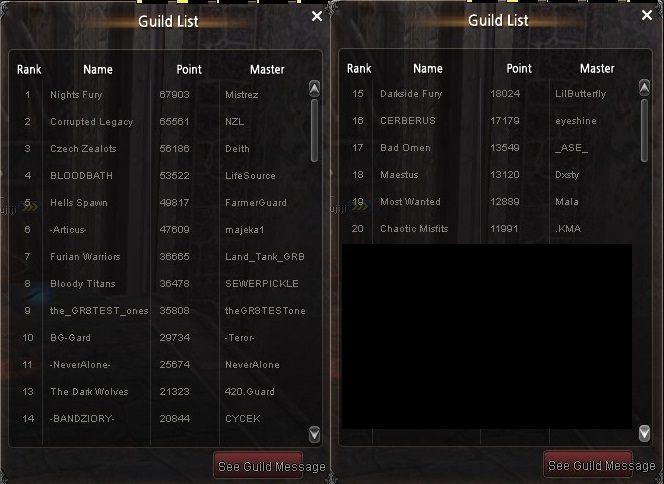 Guilds on AoL and UoF will be selected on 2nd of March and 9th of March! Next Mini GRB Monster Madness will be 9th of March - 30 minutes after GRB! so the MM is not every weekend , is every 2 weekends? 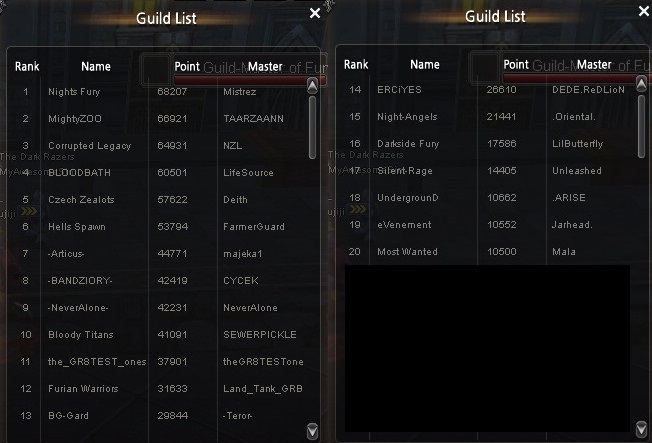 1 guild waiting 1 week and the other 30 mins? sk1z That's correct! I'll quote what Di wrote. 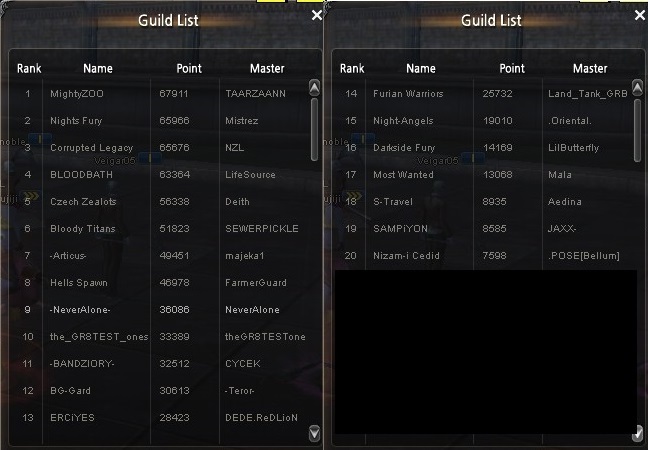 At the moment, both guilds on the same faction are in the same raid and at the same time in Stadium. 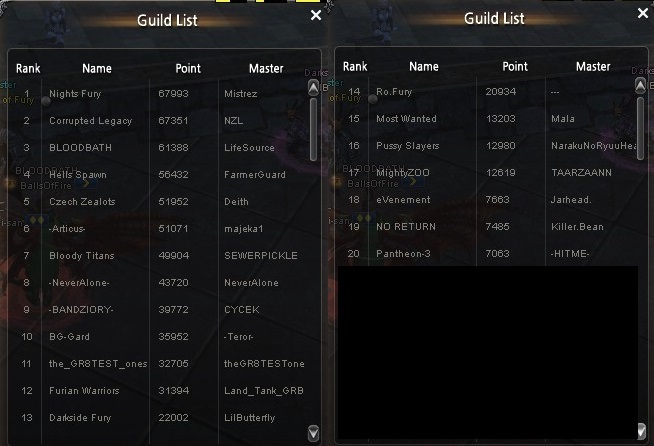 This has been working good so far, but until we reach two guilds with more than 30 member active (in raid), we'll probably have to look at doing it seperately. Thanks for the clarification, much appreciated! hanus I am sorry, but we don't have it. 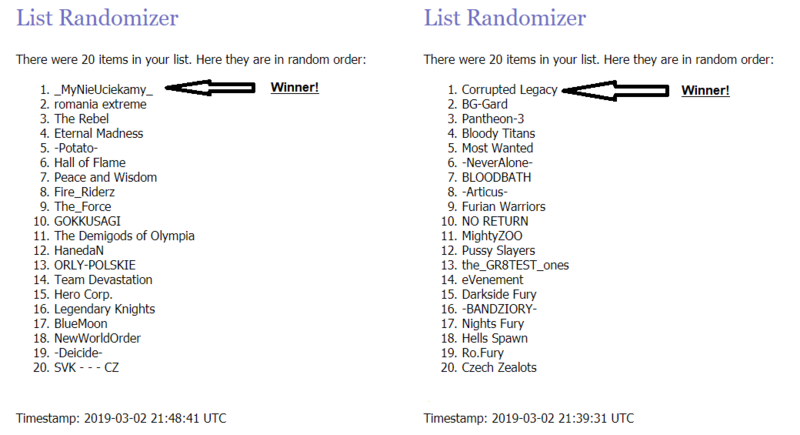 Congrats _MyNieUciekamy_ and Corrupted Legacy!! 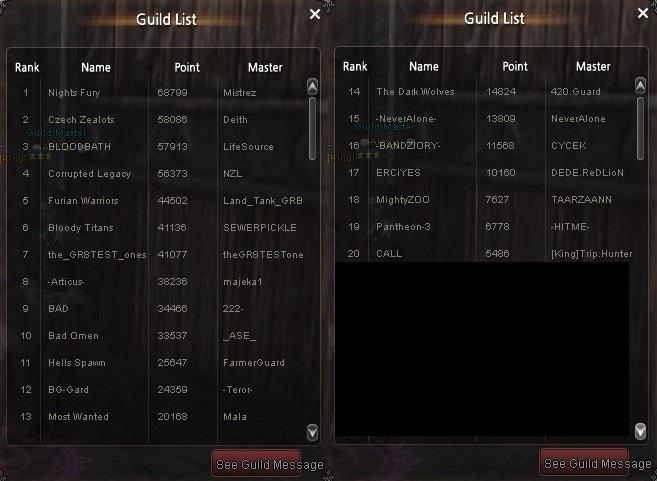 Guilds on AoL and UoF will be selected 9th of March to join _MyNieUciekamy_ and Corrupted Legacy! 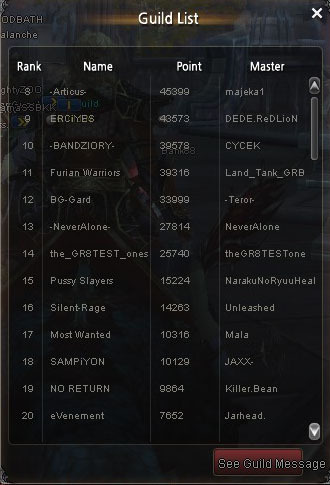 Congrats ORLY-POLSKIE and Furian Warriors!! 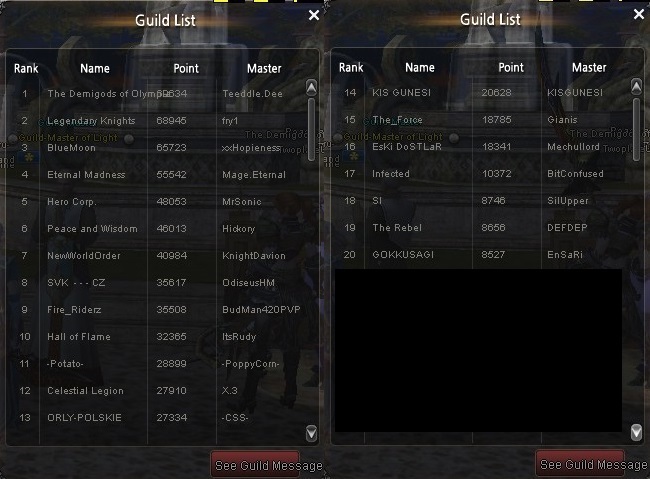 Sorry for the delay on the post and sorry for missing guilds 14th-20th on AoL! 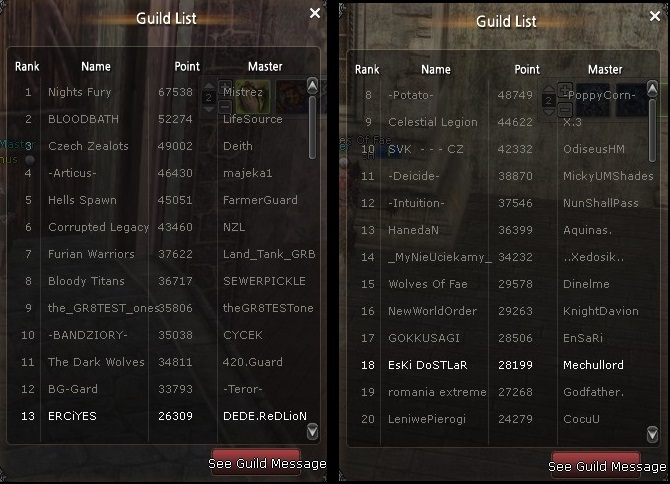 These two guilds have had the mini GRB MM on 9th of march with _MyNieUciekamy_ and Corrupted Legacy. Congrats ERCiYES and The Demigods of Olympia! 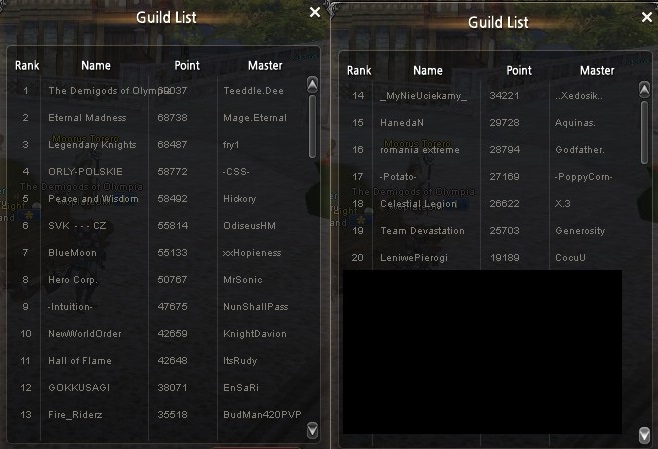 Guilds on AoL and UoF will be selected 23th of March to join ERCiYES and The Demigods of Olympia! Next Mini GRB Monster Madness will be 23th of March - 30 minutes after GRB! The post was edited 2 times, last by Diamond ( Mar 31st 2019 ). The post was edited 4 times, last by Luni ( Apr 13th 2019 ). 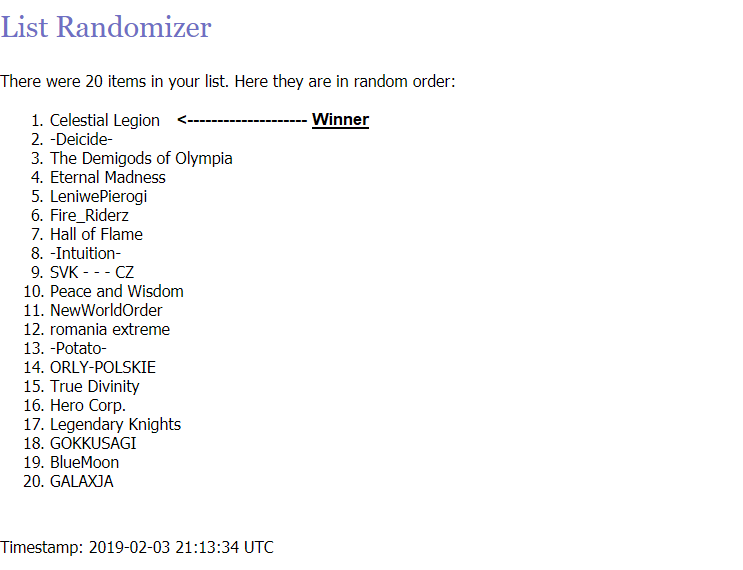 edit : Today s winners MeAmor and New World Order + ERCiYES and Eski Dostlar had their MM! The post was edited 1 time, last by Luni ( Saturday, 10:17 pm ). Is it time for a change? Or will shaiya be gone soon.